using the latest 3D technology and years of pool design experience. Nick will meet with you at your home to discuss your project and your ideas and will make suggestions and recommendations. Client must supply a survey of property to initiate the landscape design process. During this initial meeting we urge homeowners to supply in2blue with as much information regarding the desired aesthetics and functionality of inground swimming pool and landscape design you've envisioned. Photos, books, sketches, magazines and websites, anything that will help us get a sense of your dream pool or landscape is welcome and appreciated. 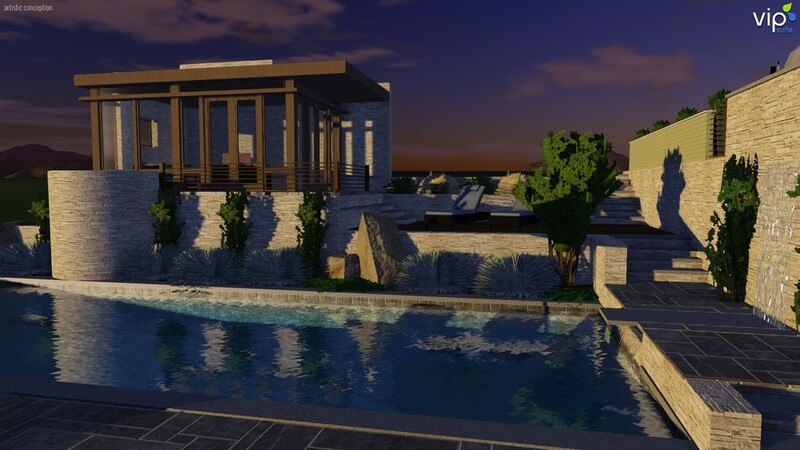 3-D renderings of your landscape and swimming pool will be created for you based on the discussions and information obtained from site consultation. The Phase I drawing is a conceptual design only. One revision is included in Phase I design fees. Homeowner will be supplied multiple jpeg images (via e-mail or hardcopy disc) depicting various angles of completed 3D conceptual swimming pool and landscape design. Hardscape, landscape, soft and hardscape materials list and elevations. A proposal for all aspects of the pool installation project can be completed at this time. A complete design package will include hardcopies of scaled site plan, itemized proposal, materials list and 3D conceptual design. 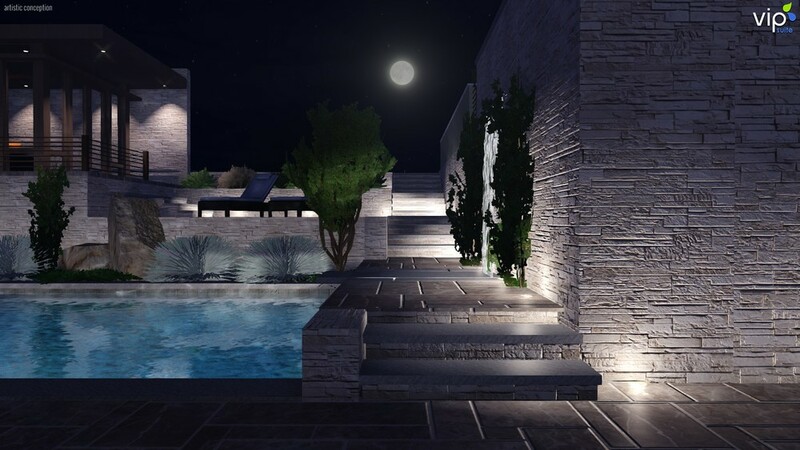 Client will also be provided with a digital format design package detailing the full scope of the pool construction and landscape design project. Upon completion we will schedule an appointment to view and discuss the plans, renderings and budget. Once the design and budget is approved it's time to move on to pool construction.